When you were young did you have a String top? I did. You wrapped the string around the top and you threw it sidearm to make it spin and the one that spun the longest was the winner. 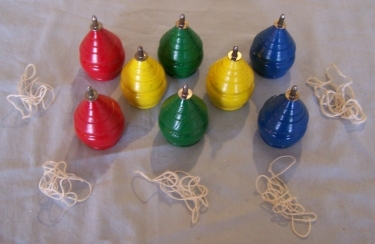 Our old tops from the 50's are painted Red, Green, Blue and Yellow, each coming with a string. They are made of wood and have a metal spinner.